Well, the European Union has just enacted a new law called the General Data Protection Regulation. The GDPR governs what companies can do with your data. It also governs how they can ask you for your consent to those new policies. Right now it is only in effect in the EU, but so many companies have a global presence that they do need to make sure they are in compliance. Who has my data – my email, my age, my address, my phone, my likes, etc.? What are they doing with my data? 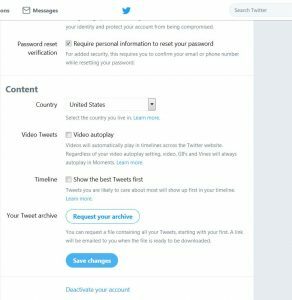 As far as I can see, Twitter has made it relatively easy to get all of your data from them. 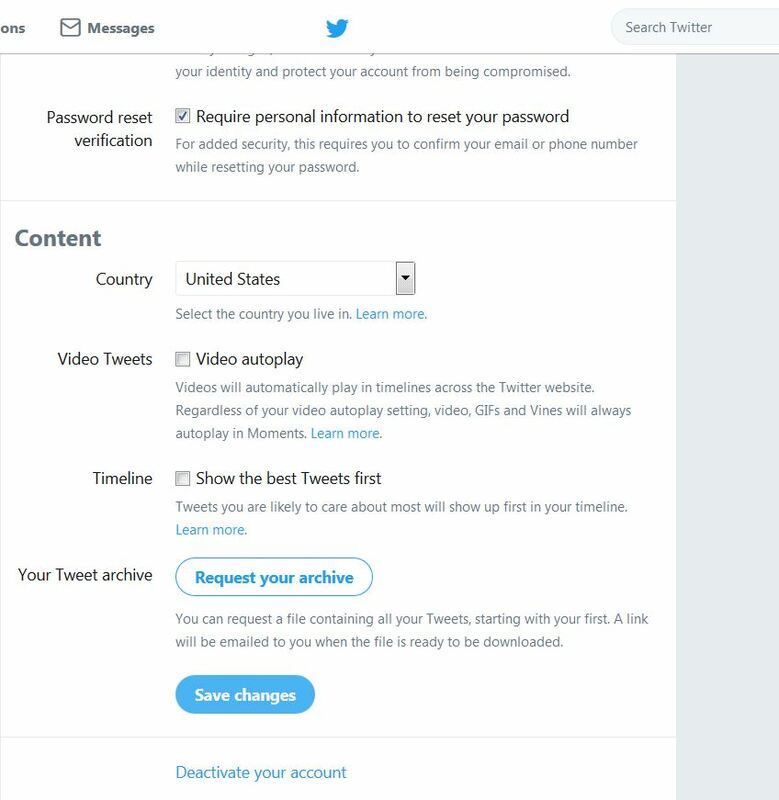 Click on your account, then on “Settings and Privacy”. Near the bottom, you can click on “Request Your Archive”. You’ll receive an email when the archive is ready to be downloaded. Why do I need a VPN and What is it anyways? A VPN or Virtual Private Network is encrypting software that masks your identity and internet activity by hiding your IP Address. (Your I P Address is the number associated with your computer or phone that identifies you to the network. It’s a string of numbers like 11.111.11.111 and uniquely identifies you. If you head over to What Is My IP Address, it will tell you what your IP address is, who your ISP is, and where you are located.) 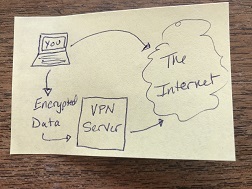 When you use a VPN, your computer sends your internet activity to a remote server which will then send your request on, but without your identifying IP address. Your ISP (Internet Service Provider) will not be able to see or track your activity. First, do some research to see which VPN provides the features that you want at an affordable price. You can expect to pay under $10/month for a good VPN Service. Most VPN’s allow you to connect multiple devices. When doing your research, look to see if the company saves your data and what the laws are in the country it operates in. Another feature that some VPNs have is to disconnect you from the Internet if their service stops working for whatever reason. That way you’re never using the internet without being encrypted. Was this helpful for you? Let us know in the comments below! Would you like to receive our newsletters in your email? Please click here. 3 Best Routers – Does Your WiFi Reach Into Your Yard? What do you consider the Best Router? If you’d like to receive our newsletters in your email, please click here. We’re getting more calls for technical support from people who have fallen for one of the scam phone calls. 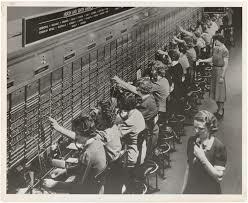 They receive the call, and let the “tech” from “Microsoft” or “Dell” gain access to their machine. Or, the “tech” asks them if they have a particular file on their machine, and then express concern and alarm when the person says “Yes I do have that file. Is that bad?”. Of course, this is a file that every Windows machine must have to function, but the average person doesn’t know that. These people are highly skilled in the art of persuasion. They are very convincing. This is their job, and they won’t want to let you go. And, it’s not your imagination. These “bad operators” are stepping up their activity. Even Microsoft has recognized the problem. Virus headlines like these keep coming across my newsfeed. Remember that Microsoft, or Google, or Dell, or anyone else won’t call you to tell you have a virus. Those phone calls are always scams. So, there really is just one thing you can do to protect yourself. Hang up! These folks are well practiced and very convincing. Hang up! Sorry, Mac users. It’s only a matter of time before you start getting targeted too. As more and more people transition to Mac’s, they won’t let you out of the fun. Your solution is the same. Hang up! Be careful with who you allow to access your machine. Hang up if your spider sense starts tingling. I woke up this morning to a hazy, smoky view. I am reminded that it is Fire Season again. 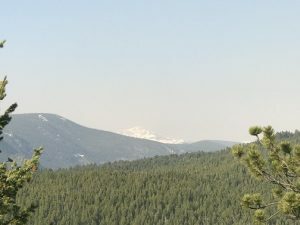 In this case, the fire is two states away, but the smoke is pushed hundreds of miles by the jet stream. Even though the fire is so far away, it is a reminder that when you live in the west, you need to be prepared to evacuate, at a moments notice. Here are our recommendations to be prepared for Fire Season, to keep your data safe, and to make sure your technology continues to work at the shelter. Use a laptop for your daily computer. There is not a lot of difference between a laptop and a desktop anymore, so get the computer that will allow you to grab it fast. You can still have a large monitor and keyboard on your desk. If you need to bug-out, just unplug everything. Get two charging cables for your laptop. Keep one at your desk and the other in the laptop case. This way you won’t need to grab anything extra. Make sure you use the Cloud to back up your data. An external hard drive can accidentally get left behind. Or worse, you may not even have time to grab your laptop. I like Dropbox because I can log onto the Internet from anywhere to easily access my data. Talk to your cell phone provider about turning your cell phone into a hot spot. As long as you have access to a good cellular signal, you’ll be able to send a good wifi signal to your laptop from anywhere. Make sure you have a bunch of fully charged battery packs. I got two of these iXCC Power Banks several months ago and am constantly using one or the other. I carry one in my car so if I run low on charge, I can easily get recharged again. Keep the Geek For Hire phone number handy. We can talk you through most issues you might be having. Remember, if you just have a quick question, we don’t charge for phone calls under 15 minutes. Remember to keep your precious photos and other valuables in a bin by the door ready to go in case you do get evacuated. Keep your fuel tanks at least half full throughout the fire season. Grab your laundry basket. All of your favorite clothes are already in there! On the bright side, we’ll be treated to some amazing sunrises and sunsets until that fire is under control!